Why should I use Academy of Languages to find an interpreter? To what types of assignments do you send interpreters? Can you send an interpreter right away? Can interpreters make phone calls rather than meeting in person? Can our client's relative help with interpreting? 1. Do I need an interpreter or a translator? Interpretation generally refers to the oral transfer of a source language into a target language, while the term translation applies to the written transfer from one language into another. Therefore, if you have individuals who speak different languages, but need to communicate face to face, you need an interpreter. If you have written materials in one language that need to be in another language, you need a translator. 2. Do you have certified interpreters? Generally, interpreter certification is not standardized in the United States. Because of this, we carefully screen each interpreter with whom we work to ensure they have the qualifications and skills necessary to be a professional interpreter. However, there are two ways for an interpreter to become certified in the state of Washington. The Department of Social & Health Services (DSHS) provides a certification program for an interpreter who wishes to become DSHS Certified as a medical or community interpreter. Also, an interpreter can become Court Certified through the Washington State Administrator for the Courts. 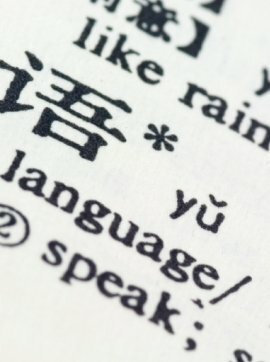 There following languages are court certifiable: Arabic, Bosnian/Croatian/Serbian, Cambodian (Khmer), Cantonese, French, Korean, Laotian, Mandarin, Marshallese, Punjabi, Russian, Somali, Spanish, Tagalog and Vietnamese (certification exams may currently not be available for some of these languages). 3. What is the difference between consecutive and simultaneous interpretation? There are two main types of interpreting: consecutive and simultaneous (also called conference). Whisper interpretation is less frequently used but is a third, distinct modality. Consecutive Interpretation - The interpreter listens to the speaker for a few minutes, takes notes, then the speaker pauses while the interpreter renders the meaning in another language. Usage: This mode is for small groups and one-on-one conversations. It is best suited for interviews, depositions, parent/teacher conferences, medical appointments, attorney/client meetings, business negotiations or discussions in small groups, or short presentations to a small number of people. Pros: No audio equipment is needed, and usually only one interpreter is needed. No extra space is required. Cons: Use of this method roughly doubles the duration of your event. If there are several attendees, and some of them do not need an interpreter, they must nevertheless wait for the interpreter to interpret. This mode usually only works if an interpreter is needed in only one language. Speakers and limited-English persons must be positioned near each other (ideally facing one another) so the interpreter can easily hear and be heard by both. Simultaneous Interpretation - The interpreter listens to the speaker, sometimes via earphones, and simultaneously transmits the meaning of the utterance into another language, usually using a headset microphone and transmitter. The limited-English person(s) listen to the interpreter through a receiver and earphones. Usage: This mode is for large groups and in situations where the limited-English-persons are part of an audience. For assignments longer than about 45 minutes, two interpreters are needed. Audio equipment is usually needed, sometimes including a sound-proof booth. It is best suited for conventions, trials, lectures, tours, presentations and conferences. Pros: The duration of your event is unaffected. If you need interpretation into more than one language, this mode will work for you. If there are attendees who do not need an interpreter, they are unaffected. Cons: Audio equipment is needed, adding to the expense and sometimes to the space requirement. For longer assignments, a single interpreter cannot maintain accuracy for more than 15 – 20 minutes of simultaneous work, so two interpreters are used, and they switch off every 15 minutes or so, which is the industry standard. Interpreter availability at this higher level is often more limited, especially on short notice. Whisper Interpretation - Similar to simultaneous interpretation, but the interpreter whispers the meaning, using no audio equipment. It is only suitable for use in a very small group with 1 or 2 listeners. It may be distracting to the speaker and to others, and is best suited for shorter events or when interpretation is only needed intermittently. 4. Why should I use Academy of Languages to find an interpreter? The Academy of Languages offers you a sense of security, knowing that we have screened the interpreters with whom we work to make sure they are truly qualified. We will facilitate all interpreter coordination for you. 5. To what types of assignments do you send interpreters? We arrange interpreters for all kinds of medical, legal, business and personal assignments, as well as conferences and seminars. 6. Can you send an interpreter right away? Interpreters are not always available on demand. We believe that scheduling an appointment for a time when we can have a qualified and professional interpreter available will save you time and money. We will do everything we can to come through on last minute requests, but often interpreters are simply not available on short notice. 7. Can interpreters make phone calls rather than meeting in person? If the message is brief enough and mundane (such as confirming an appointment), we can simply convey it by separate phone calls. We can arrange for a conference call between our client, our interpreter, and the non-English speaker if the information is very lengthy; however, in person is generally more effective. 8. Can our client's relative help with interpreting? We recommend upholding professional standards of communication to ensure accuracy. With a relative you will most likely receive a biased or emotional interpretation. In medical and legal situations it is especially important not to involve relatives (including children) as interpreters because they are not professionals and do not have a working understanding of the terminology involved. 9. Do you have Sign Language interpreters? No, we do not. This service may be found through various local agencies.